Motorola's Moto Z line has been one of its most successful lines of premium phones ever, so it makes sense that Lenovo and Motorola would want to follow-up last year's Moto Z2 Family with Moto Z3. The latest leaks might just have revealed the first-look of the Moto Z3 and Moto Z3 Play. 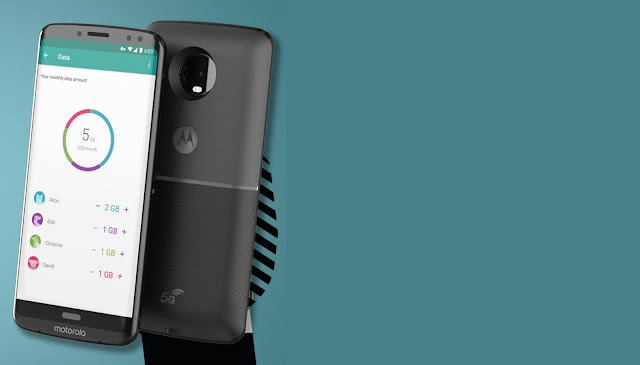 Droid-Life refers to the phone pictured above and below as the Moto Z3 Play and Moto Z3. The Image also shows a 5G Moto-Mod attached to the Moto Z3. 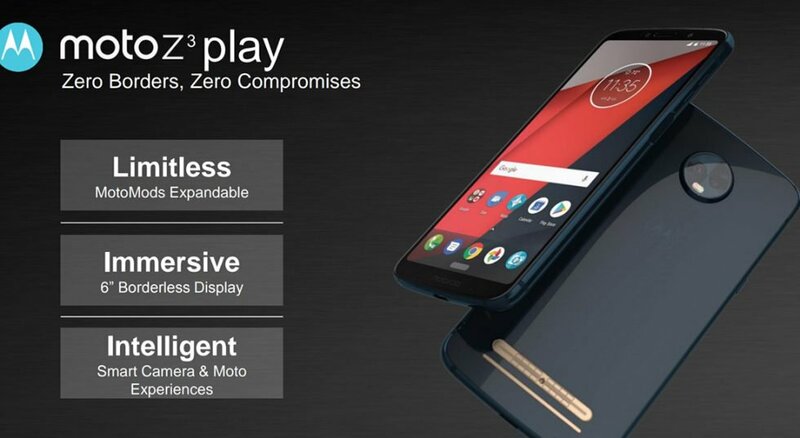 Assuming that the leaked render is the final design, the Z3 and Moto Z3 Play looks absolutely stunning. What about the Fingerprint sensor? We’re assuming that Motorola is going to ditch the Fingerprint sensor in favour of Iris Scanner and Face Unlock. The Moto Z3 Play features a 6" 18:9 near edge-to-edge display, while the Moto Z3 has curved 18:9 display just like the Samsung Galaxy S8 and S8 Plus and Snapdragon 845 SoC. Thoughts?